Your car is one of your most valuable possessions. It is important to entrust it to a professional, experienced and expert repair shop, especially after an accident. Auto collision repairs can involve different processes and techniques, depending on the type of collision and the extent of the damage - meaning the work done on your car can be quite comprehensive. 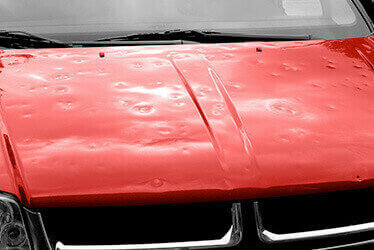 It is therefore essential to have a warranty on all repairs performed on your car. CARSTAR Yorkville, IL stands behind their work and offers a 5 year nationwide warranty. We know how stressful vehicle repair can be and we want to give you peace of mind. Learn more about our auto collision repair and warranty offer here or by contacting our Auto Body Services in Yorkville, IL. At CARSTAR, you don't just get state-of-the-art auto collision repair for your car - you get comprehensive assistance every step of the way, so that the entire process is as painless as it could be. Not only do you not have to worry about your car being repaired by expert and experienced technicians using top frame repair equipment, but you also needn't worry about the hassle of having your car in the shop. From arranging a tow service to liaising with insurance companies to assisting you in getting a rental, our team at CARSTAR #15025 in Yorkville, IL will be with you every step of the way. We may not be able to help prevent accidents, but we will certainly make auto collision repair stress-free for you. While assistance at every stage is important and having options when it comes to choosing auto body services also has its benefits, those are not the most critical touchstones when it comes to having your car fixed, are they? What you want first and foremost is to know that your car is in the best of hands and that's our promise at CARSTAR #15025 in Yorkville, IL. We have expert technicians, experienced QAs and highly advanced unibody and frame repair equipment. Our technicians have the right experience and skill set to work with both structural and body frame damage and will always be able to create the best repair plan for your car. We conduct quality inspections both for control and assurance, so when your vehicle is at CARSTAR, you know it's in good hands. You know how important it is to have a trusted auto collision repair center, but wouldn't it be great if the same auto shop will provide you with all other services you may need as well? Having a one stop shop for all your vehicle needs means less stress, more productivity and better end results. We strive to provide our customers with a well-rounded experience, which is why we offer more than just auto collision repairs. Contact CARSTAR #15025 in Yorkville, IL to learn more about our fleet services, paintless dent repairs or hail damage repair services. We are here for you 24/7.